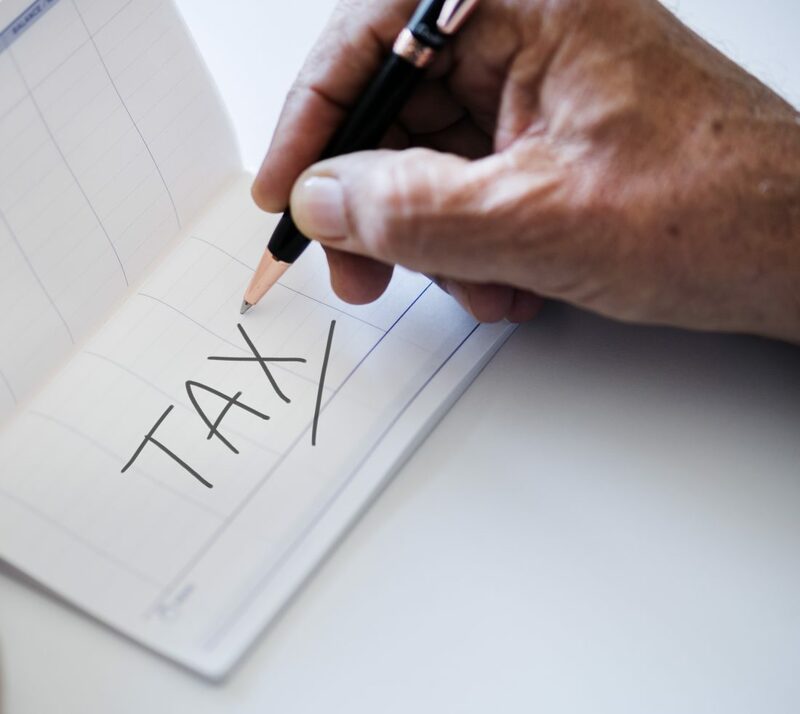 The changes in the 2018 Tax Act to itemized deductions and the standard deduction will have a dramatic impact on whether or not people will itemize their deductions and will have a dramatic impact on those who make substantial annual charitable gifts. The first change and the most dramatic change is the change of the standard deduction for a single individual from $6,000 to $12,000 and for a married couple, from $12,000 to $24,000. Unless individuals have itemized deductions exceeding the new standard deduction limits, then they will be claiming the standard deduction rather than itemizing their deductions as in the past. This change could mean that over 90% of married couples will use the standard deduction. There are other changes to itemized deductions that will also prevent people from exceeding the standard deduction amount. Many people had miscellaneous itemized deductions that they were also able to claim each year including investment management fees. The specific amount that people were able to deduct varied greatly based on their own personal financial circumstances, but many individuals will lose a substantial deduction. While individuals are still able to deduct the interest paid on their mortgage, there have been two changes to the mortgage interest rules. The first change is that the only deductible mortgage interest will be for acquisition indebtedness. This means that individuals who acquired a mortgage in order to purchase a home or build an addition may still deduct that interest, but those who have acquired a mortgage for other purposes such as to obtain funds to send children to college, will be unable to deduct the interest on that debt. The second change to the mortgage interest deduction rules is that for mortgages taken out in 2018 and future years, an interest deduction is only available for acquisition indebtedness of up to $750,000. For acquisition indebtedness taken out prior to 2018, the amount of interest on up to $1,000,000 of acquisition indebtedness is still deductible. With the reduction of home interest mortgage and the limitation on state and local tax deductions, very few people will have sufficient deductions to itemize unless they are making substantial charitable gifts. For example, a married couple who can now only deduct $10,000 of state taxes may only have mortgage interest and charitable deductions which they will be able to use to enable them to itemize. A couple who has reached the $10,000 state and local tax limit and who has $7,000 of mortgage interest will generally not be able to itemize unless they have over $7,000 of charitable contributions. The analysis of whether or not a couple will be able to itemize or whether they will be using the standard deduction is reasonably straightforward when looking at the deductions taken on the prior year’s income tax return. Although many individuals will simply continue their current pattern of giving, some individuals are interested in the concept of bunching their charitable contributions into one year in order to take maximum advantage of their charitable contributions in that particular year, and taking advantage of the standard deduction in alternate years when minimal charitable contributions are made (see example on the following page). Some individuals have warned their churches or other charitable recipients that they will now be receiving donations in alternate years. They are trying to let the charitable organization budget for their strategy of donating every other year. There is, however, a technique which allows for charitable contributions to be made in one year and, yet, to have those contributions spread out over both the current and the succeeding year. That concept is the use of a donor-advised fund. A donor-advised fund is a charitable fund operated by most major financial institutions, by community foundations, and by other organizations such as the Archdiocese of Detroit Foundation. A gift can be made to the fund and an immediate income tax deduction is recognized. (A gift of stock may also be made obtaining a deduction at full fair market value without having to recognize any capital gain.) Once the donor-advised fund has received the money, it will then take directions as to the distribution of those charitable funds to such organizations and at such time as the donor suggests. For example, this might allow a large charitable contribution to be made in December of 2018 and yet have that distributed to a charitable organization or organizations over the next twelve to twenty-four month period. This can be an ideal solution for those wishing to combine multiple year’s charitable contributions in a single year and yet still have the charitable recipients receive those assets over time. A completely different charitable giving strategy is usually best for individuals who are over 70 ½ and who have IRA funds. Under the Charitable Rollover Act, individuals over 70 ½ may have funds distributed from their IRAs directly to a charitable organization without having to report the income on that withdrawal. This technique may be used to satisfy the required minimum distribution or any additional amounts (up to $100,000) from the IRA. Since the funds are excluded from income, there is a 100% benefit of the gift. The individual may then claim the standard deduction. While specific circumstances could vary, and except for extremely large charitable gifts, this will almost always be the most effective charitable giving strategy for those over age 70 ½. Please let us know if you have any questions regarding the application of these new income tax rules to your own tax return or your own charitable giving strategy.